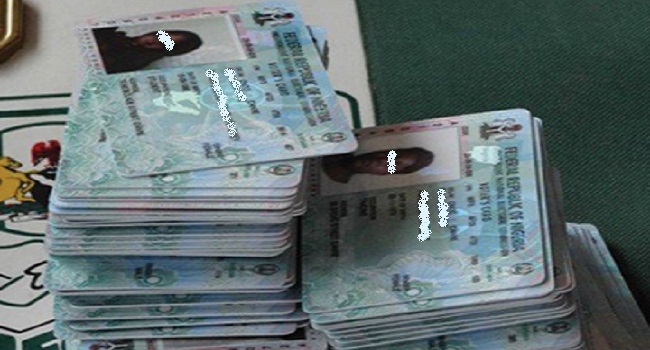 The Kano Police Command has arrested three persons for allegedly buying permanent voter cards (PVCs), ahead of the supplementary governorship elections on 23 March. DSP Abdullahi Haruna, the state Police Public Relations Officer (PPRO), disclosed this in a statement issued in Kano on Wednesday. Haruna said on March 12 at about 8 p.m, based on information received, 39 year-old Sa’adatu Isma’il of Brigade Quarters, Kano, and Halima Abba, 55, of Tal’udu Quarters, were arrested for purchasing PVCs from voters at Gama Quarters Nasarawa Local Government area of the state. “The suspects bought the PVC each at the sum of N5,000 and above, eight PVCs were recovered from them with the cash sum of 10,000,” Haruna said. He also said that on March 13, at about 10:00a.m one Mukhtar Shu’aibu of Dandishe Quarters, Kano, was also arrested for buying PVCs within the Quarters. “He confessed to have purchased two PVCs at the sum of N3,000 each,” he said. Haruna also said that on March 13 at about 10:00a.m two more suspects were arrested all of Gama Quarters, Kano, for moving about with a view to buy PVCs, adding that they were rescued from a mob that was about to lynch them. Kano will hold supplementary elections on 23 March to determine who becomes the governor in the next four years, between incumbent Abdullahi Ganduje of APC and the challenger, Abba Kabir Yusuf of the PDP.